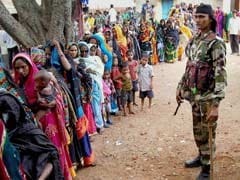 While district magistrates of six districts were changed, 13 superintendent of police rank officials were also altered in the reshuffle in Bihar, according to a notification. 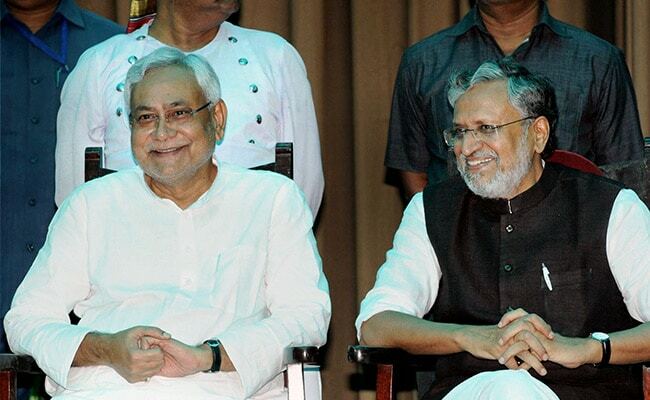 The transfer of bureaucrats and police officers comes days after Nitish Kumar's new alliance. Patna: Four days after becoming Chief Minister of the new coalition of JD(U) and NDA, Nitish Kumar on Monday effected a major reshuffle in bureaucracy and police by changing posts of 28 IAS officers and 42 IPS officers. While district magistrates of six districts were changed, 13 superintendent of police rank officials were also altered in the reshuffle, according to a notification. ELSN Bala Prasad, an IAS officer of 1986 batch, has been transfered from the post of Principal Secretary to Governor to Commissioner for Departmental Inquiries under General Administration department, a notification said. Principal Secretary Home Amir Subhani, a 1987 batch officer, has been given additional charge of Minority Welfare department. A 1989 batch IAS officer Brajesh Mehrotra has been given additional charge as Principal Secretary to the Governor. Revenue Council member K K Pathak, a 1990 batch IAS officer, has been given additional charge of Principal Secretary in Mines and Mineral department. A 1992 batch IAS officer Chanchal Kumar, who is Principal Secretary to the Chief Minister, has been given additional charge of Building Construction Department. Anupam Kumar, district magistrate of East Champaran, has been made the new Transport Commissioner. He would also discharge function as Director of Information and Public Relations Department. New District Magistrates were made in six places in the reshuffle today, the notification said. Awnish Kumar Singh will be new DM of Lakhisarai, while D Nilesh Ramchandra will be new DM of West Champaran, Kaushal Kumar of Nawada, Sanjeev Kumar of Bhojpur, Kundan Kumar of Banka and Mukesh Pandey of Buxar. DG (police training) Sunil Kumar has been made DG of Police Building Construction Corporation. Gupteshwar Pandey, ADG (wireless) was promoted to DG rank and made new DG of Police Training Academy. Altogether 13 SP rank officials have been changed. Patna Town SP Chandan Kushwaha was transfered as SP (banks) while D Amar Kesh, Sitamarhi SDPO, will be the new Patna Town SP, the notification said. Anusuyia Ransingh Sahu was transferred from SP Saran to SP (weaker section). Har Kishore Singh is new SP of Saran. Jitendra Rana has been shifted as SP of East Champaran whose position will now be taken up by Upendra Sharma.